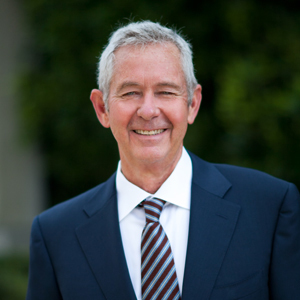 Bixby Residential is thrilled to have Broker John Burrill join the team. Born in Long Beach and raised in the South Bay, Burrill moved to Orange County in 1968. He loved it so much here, he never left. In his early 20’s, Burrill began his career in mechanical engineering and contracting which led to his recruitment to Unocal Science and Research working on early shale oil extraction and polymer technologies. His entrepreneurial spirit led him to start a business manufacturing coatings and adhesives for a variety speciality construction applications. That practical know-how and vision was the perfect make-up for an investor/developer of residential property, his first foray into real estate. Recognizing opportunity to improve the sales process for his own developments, Burrill secured his DRE license and began his career as a real estate agent, soon thereafter obtaining his broker’s license. He focused originally in Eastside Costa Mesa and Dover Shores, and then his expertise evolved to Newport Beach oceanfront and Newport Coast luxury custom homes. He was a vital part of Orange County’s most successful luxury brokerages, forming trusting relationships within the community. Known for his candor and no-nonsense approach to any opportunity or challenge, he earns his clients loyalty with exceptional insight and service. As a hobby, Burrill loves photography and is well-known in the Los Angeles Fashion industry. He lives with his son and daughter, currently students at Newport Harbor High School.